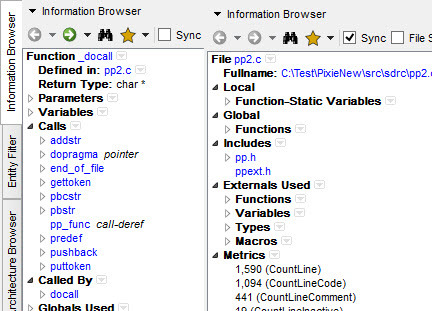 Understand® is an IDE built from the ground up to help you fully comprehend your source code. Analyze it, measure it, visualize it, maintain it – Understand it. If your code is safety or mission critical or has grown larger than one person can handle, you owe it to yourself to try out Understand. Understand will help you discover exactly what your code is doing and why, and you will soon be wondering how you lived without it. Join the 20,000 other engineers that already Understand their code. 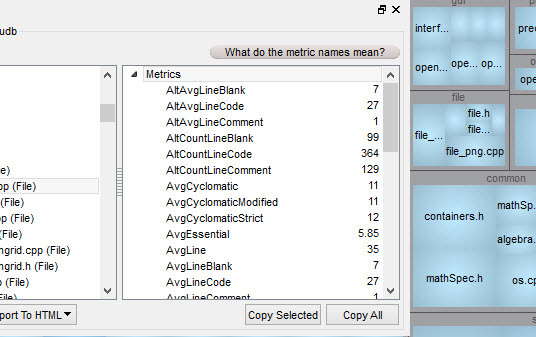 Understand is very efficient at collecting metrics about the code and providing different ways for you to view it. There is a substantial collection of standard metrics quickly available as well as options for writing your own custom metrics when we don’t cover exactly what you need. 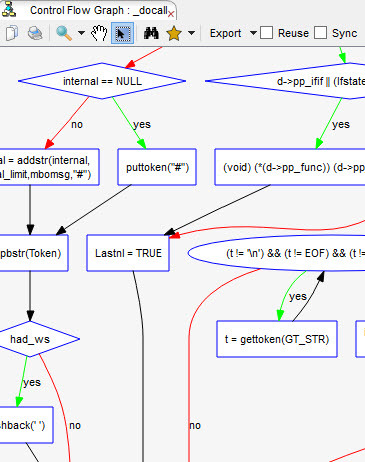 Understand providesUnderstand offers graphs that allow you to see how your code connects (dependencies), how it flows (control flow graphs), what functions call other functions (call graphs), and many more. There are many customization options to easily allow you to display only what you are interested in seeing so the graph is best suited to what you need with pertinent information regarding your code. Quickly see all information on functions, classes, variables, etc., how they are used, called, modified, and interacted with. Easily see call trees, metrics, references and any other information you would want to know about your code. See all the dependencies in your code and how they connect. 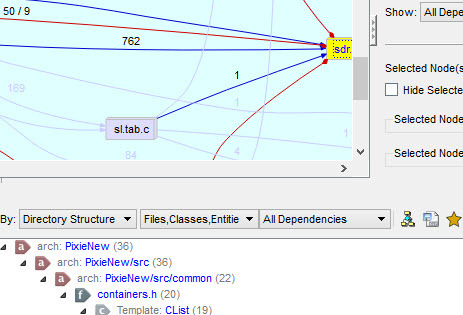 See these dependencies using Understand’s interactive graph or using the textual Dependency Browser. Both allow you to see all dependencies quickly and easily at a high level or dig in and get the details. Understand’s powerful editor is a full modern programming GUI that incorporates all the modern features you would expect. It is designed from the ground-up for multi-monitor use and it includes tabs, tab groups, docking, syntax colorization, auto-completion, and syntax-based collapsing and folding just to name a few. Multiple options are available for searching in Understand. For instant results, use our “Instant Search” feature which provides results before you are even done typing. Understand also provides search options for more customized and complicated searches, such as Regular Expression and Wildcard searches. The most convenient option is a Single Developer License (SDL) where we issue a code to a given developer, enabling the tool on any machine they use (in the lab, at home, at their desk). 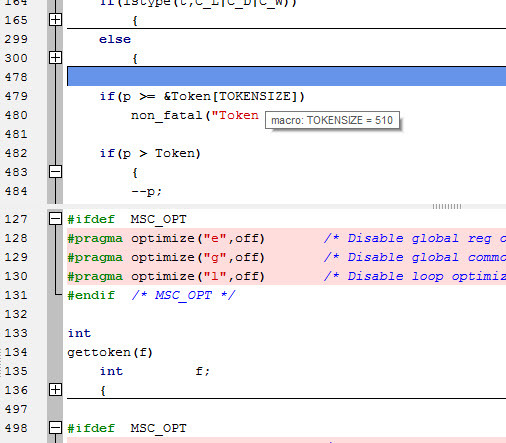 This code may be reassigned to another engineer should the original engineer leave or not use the tool any longer. The Floating License is more versatile, but adds complexity to the installation. The license may be used by any number of developers on the network, but only one user at a time per license. A node-locked floating license is designed for a single machine that many users will be accessing, such as in a lab or a secure environment. It is similar in concept to a Standard Floating License but no license server is needed, and it will only work on the one machine.